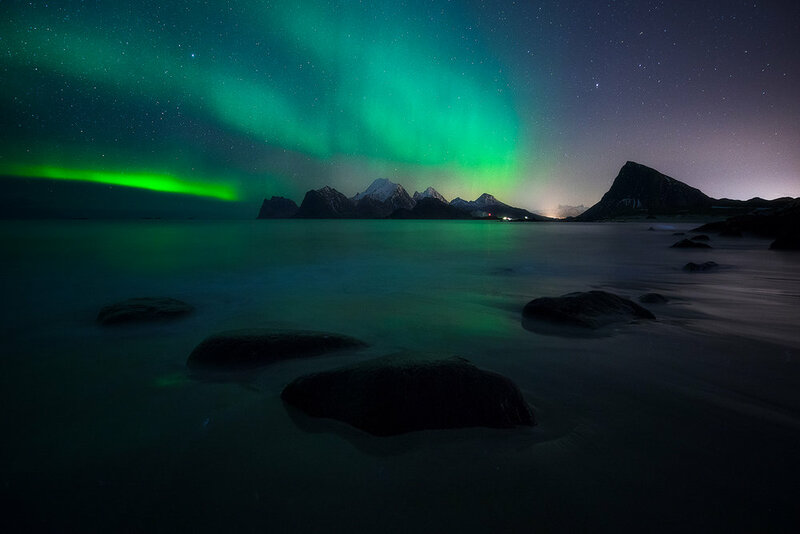 Northern Lights Photography by Norwegian Landscape Photographer Christian Hoiberg. If you've ever witnessed the Aurora Borealis you know that it's hard to describe such an experience, either with words or photographs. Standing out in the cold night staring at a sky covered in green, blue and pink is an experience that sticks with you. For the last years, I've been lucky enough to photograph this natural phenomenon through various places in Norway and Iceland. No matter how often or how visible it is, I never get tired of chasing the Northern Lights.